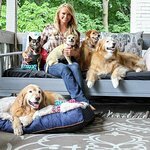 Award-winning singer/songwriter Miranda Lambert stays in harmony by eating a good breakfast that includes lowfat milk each and every day. Miranda Lambert Kicks off CMA Awards with New Milk Mustache Ad. The country musician dons her cowboy boots, picks up her guitar, and sports a Milk Mustache in the first-ever ad from the National Milk Mustache “got milk?” Campaign unveiled at the Country Music Association headquarters in Nashville, TN. Miranda makes a point to eat breakfast at home – whether it’s on the ranch she shares with her husband or the tour bus she shares with her band mates – and knows milk is a hall of famer at the breakfast table. With nine essential nutrients, including high-quality protein, it helps make her breakfast more complete. Whether in a glass, cup or bowl, milk enhances the nutritional value of her morning meal so she has nutrients she needs to keep rockin’ all day long.